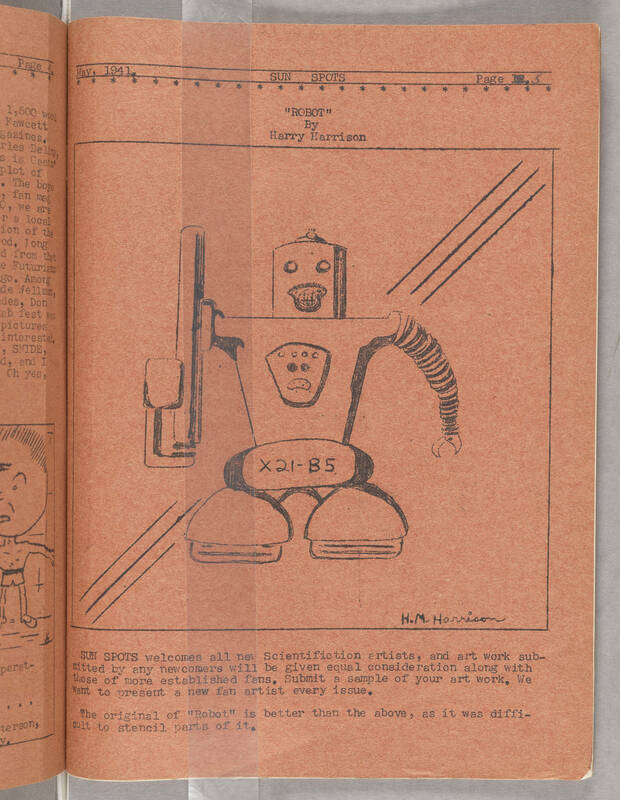 [header] May, 1941 SUN SPOTS Page 5 [/header] "ROBOT" By Harry Harrison [illustration: robot with X12-B5 on its front] H.M.Harrison SUN SPOTS welcomes all new Scientifiction artists, and art work sub-mitted by any newcomers will be given equal consideration along with those of more established fans. Submit a sample of your art work. We want to present a new fan artist every issue. The original of "Robot" is better than the above, as it was diffi-cult to stencil parts of it.